More and more friends, family and neighbors of Fox in Seattle, Bellevue and King County are choosing to replace their tank water heaters with new tankless water heaters. But how do you know if that is the right choice for your family? Our journeyman plumbers install all types of water heaters and have shared some of their perspectives on the decision. A tankless water heater provides hot water on demand. You turn on the faucet and then a gas heating element inside kicks on and heats the water. This saves energy because it’s not keeping water heated while not in use. Remember, while you’re away at work, running errands during the day, or sleeping at night, a tank water heater is using fuel to heat water. There is no tank to ‘run out’ of hot water and no waiting time to refill a tank as the tankless water heater provides continuous hot water. Every shower, no matter how long, will have enough hot water when the correct size and type of tankless system is installed. Filling that deep Jacuzzi tub with hot water is now not a problem. Is Tankless An Energy Efficient Choice? Yes. According to EnergyStar (EPA), the average American household spends $400-$600 per year heating water, representing 14%-18% of the total cost of utilities. EnergyStar estimates that a tankless is 8-34% more efficient than a standard tank water heater, and can save an average household $100 / yr on energy costs. The smaller the household and the less water you use, the more it saves. Although our experience tells us, the larger the household, the more personal value a never ending source of hot water has. How Well Do Tankless Water Heaters Work? The initial models of tankless which hit the market a few years back had some difficulties delivering a quality experience. There were “cold water sandwiches” where some cold water came out after residual warm water in the pipes was used. 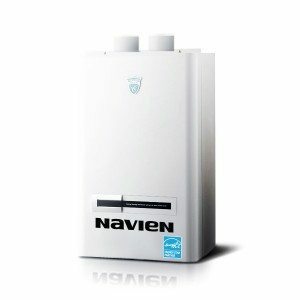 Products such as today’s Navien tankless water heaters have new technology and features which solve these issues beautifully. Will A Tankless Give Me Instant Hot Water? Our plumbers get this question often. The biggest complaint people have about any water heater is the time hot water takes to come out of the tap or shower. The main determinant of that is not whether it’s a tankless or tank, but how far away your tap or shower is from the source of the hot water. Many tankless water heaters will take up to 10 seconds longer for hot water to reach taps and showers vs. a tank water heater. However, not all models have these delays. The Navien NPE tankless with a built in reserve tank and the pump will recirculate and provide hot water in the same time or faster than it takes for a standard tank’s hot water to reach you. On demand is not the same thing as instant. If you want instant hot water, Fox Plumbing & Heating plumbers can install a device under your sink to bring instant hot water to you. We can also add recirculating pumps to speed hot water through the system. These can be added to most tankless or standard tank water heaters. It’s important to have this discussion with your Fox plumber before selecting a new water heater so he can design the right system for you. Our plumbers will size the system appropriately to fit your use and needs. This is critical as under-sizing the system will leave you very disappointed with the hot water delivery. What Kind Of Fuel Does A Tankless Use? Tankless water heaters commonly run on natural gas and propane. We know that many of our customers have electric tank water heaters and would be keen to go tankless. 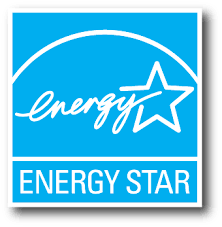 If you are a PSE customer, we recommend speaking with them about the advantages of bringing natural gas to your home. If gas is available on your block, PSE can help you do that. It might be free or greatly reduced cost with their rebates and incentives. Then as a new gas customer, PSE will provide up to a $950 rebate on your tankless water heater. There are products which can provide endless hot water using electricity, however, these typically require an electrical panel upgrade and are not as energy efficient. The manufacturers of these products recommend them for use in warmer climates where the heating demand on the technology is not as great. EnergyStar notes that tankless systems, "last longer with lower operating and energy costs, which could offset its higher purchase price." A tankless water heater does cost more than a standard tank. Some people choose to go tankless as a lifestyle choice, to have that everyday luxury of endless hot water. Others ask us to compare the cost vs. standard tanks. 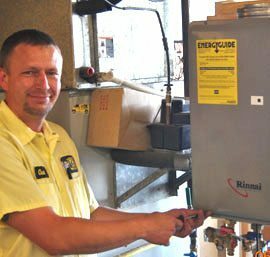 Tankless water heaters last 20 years and with parts replacement and maintenance can last longer. A standard tank lasts 8-14 years. So in the lifespan of a tankless you can expect to have purchased two standard tanks. With energy savings included, a tankless can be breakeven or better vs. the cost of two professionally installed natural gas or propane standard tanks. Your situation may vary. Do Tankless Water Heaters Qualify for Utility Rebates and Tax Credits? Most tankless water heaters meet the federal standard for energy efficiency of 82% efficient or higher, and are qualified products for the 2015 Federal Tax Credit of $300. Seattle utilities have ended rebates for tankless water heaters except in the case of new gas line installations with PSE.